Marin County has the finest urban park system in the world, with three national parks, six state parks, and 20 open space areas. 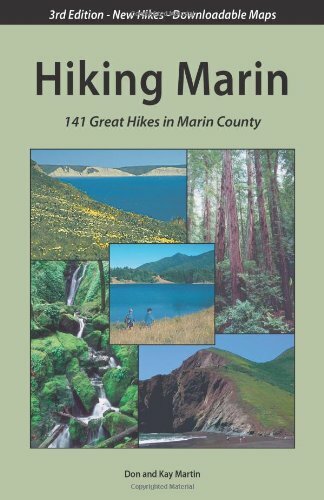 Hiking Marin describes in detail 141 hikes, rated for both beauty and difficulty, through these scenic areas, from the shores of the Pacific Ocean to the awe-inspiring redwoods. Each hike notes mileage to each junction and attraction, and includes a 3-D shaded relief map showing roads, trails, features, and elevations. The book contains suggestions for seasonal hikes as well as appendices that describe plants, animals, and local resources.